Decide what your restaurant needs. 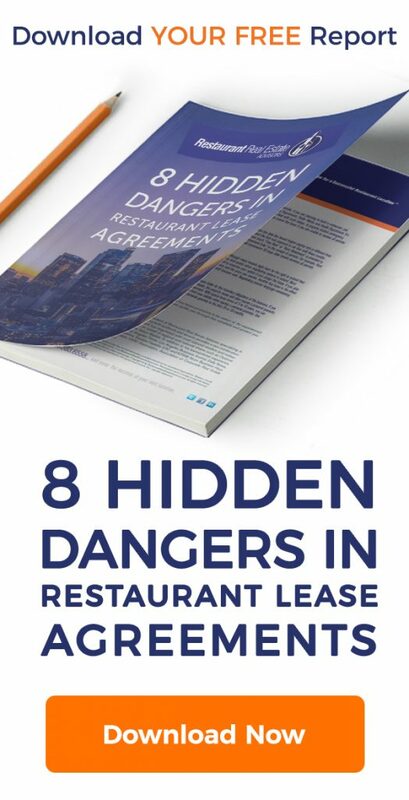 It’s easy to know what you don’t want as a restaurateur. You know you’re not looking for expensive, outdated, or complicated. But often, knowing the features and capabilities that your business needs isn’t so straightforward. Since choosing a restaurant POS system is vital to the success and longevity of your business, taking the time to observe and understand the features your business needs is imperative. That’s why it’s important to take the time you need to reacquaint yourself with your business. If you’re the decision maker, but not necessarily the person out on the floor taking orders day in and day out, talk to your servers and manager and find out what they need to make their lives easier. You might go into the conversation thinking that your employees already have all they need to take orders and successfully serve up impeccable customer service. And that might be the case. But you might also leave the conversation realizing that there are restaurant POS features that your staff desperately needs. Either way, you’ll learn more about your business and will be able to make a more informed decision. Do your research and narrow the field. Just as no two people are the same, so goes the world of small businesses and restaurants. As nice as it would be to be able to check off half a dozen boxes and then have a POS system handed to you, unfortunately, that’s just not how it works. The good news, however, is that you aren’t alone. According to a recent study, 72 percent of single-location restaurant owners are currently looking to adopt a restaurant POS system for their business. What that means is that though no two businesses are alike, there are a ton of POS-related resources at your disposal to help ease the burden of this decision. As we recommend above, knowing what your business needs and then doing the research to see what systems can fill those needs is a crucial step in choosing a provider. Though cloud-based POS systems are relatively new to the restaurant industry (within the last decade or so), their popularity has taken off in recent years. That means that there are more than enough options out there for each business to find their match. Talk to those who have been in your shoes. In the process of vetting potential restaurant POS systems for your business, you’ll most likely talk to POS specialists from each provider. But in addition to chatting with those from the actual company, you’ll also want to speak with restaurateurs that have firsthand experience with both the software and hardware. This is also a good way to test out the integrity of the company you potentially might work with. Ask the POS provider in question to give you a list of similar businesses or restaurants for you to reach out to and interview about their experience. If the POS provider can’t come up with a list, say one isn’t available or are hesitant in any way, this is a definite red flag. A quality POS system should want to share the positive experiences of other restaurateurs with you, should easily be able to direct you to case studies on their website, and should be forthcoming with any information you request from them. 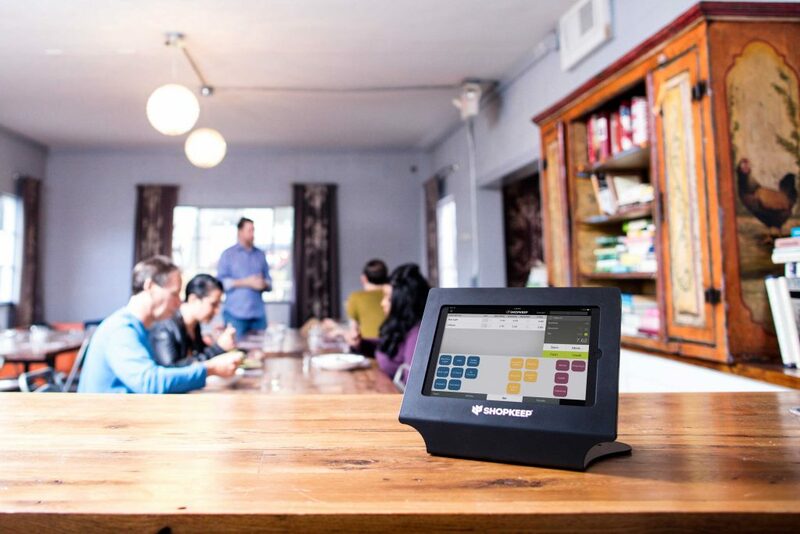 Whether you are a first-time restaurateur opening your inaugural restaurant, or a seasoned entrepreneur expanding your empire, choosing a restaurant POS system will not be an easy call. Taking the time, however, to evaluate your business, discuss your needs with your staff, and research the systems available to you, will set you up with a strong foundation for making an educated decision. Everything ShopKeep does supports growing and independent businesses. Founded by a successful business owner, ShopKeep provides an intuitive, secure, iPad point-of-sale system with POS software that empowers merchants to run smarter businesses by optimizing staffing, regulating inventory and accessing sales reports and customer information on one seamless, cloud-based platform. With more than 23,000 customers, ShopKeep’s award-winning customer care team is available to help 24/7 and provide a robust support network for growing business owners. A member of Apple’s Mobile Partnership Program, ShopKeep is headquartered in New York, with offices in Portland, Chicago, Washington, D.C. and Belfast. Hi Mark, I enjoyed the information. I agree Shopkeep is a great system for restaurants to use. Since things are becoming more digital with time, I was curious about how a store would choose their POS system. It makes sense that you should do your research and see what kind of things the POS system can offer for your business. It would be nice to get something that will make your work a little bit easier. It really does help to talk to other retail business owners about what kind of point of sale systems they use before getting one of your own. This is a great way to narrow down your search as you’ll already know which ones work really well for businesses like your own. They might even be able to give you some advice on how to get their particular point of sale system operating more efficiently. I like what this article recommends about determining what you need. It makes sense that some stores and restaurants would require things like bar code scanners while others might not. It’s something to remember just to ensure that whatever system you get, it has all the features and tools to work how you need it. It always amazes me how far the industry has come from the old school cash registers to the new iPad POS systems. I remember using a cash register at the deli I worked at in High School, man the good ole days. Just kidding of course. I couldn’t imagine running a business now without the intelligence, speed, and reporting features of a modern POS system. After having looked at two to three softwares and analyzing market, you can compare different restaureant management softwares to choose the best one. Go through its UI, what modules they are providing, what is costing of the software. Compare these features of each software with the rest of the system and decide one which gives maximum functionalities with minimum costing and uninterruptable services. It makes sense that professionals would want to have good point of sale systems. It’s what customers have to deal with, after all! If it’s not good, then people might be unhappy with it. It would make sense to speak with different POS specialists when you are choosing one for your business. It seems that talking with other owners of similar businesses would also be nice because it would tell you what is best for the industry. This would be important because I would imagine that different industries would benefit differently from different POS services. Jim makes a good point on merchant services. However, from my experience, most of the hard POS costs and monthly fees are typically set in stone. Where you can save money is on labor costs/install fees, modules or ad on services you might not need. Talk to multiple dealers and let the other dealers know you’re comparing systems, sometimes this can help. Even though most merchant service providers have advertised rates, if you have good credit and years in business, you have a very good negotiating arm to get a better deal. Agreed with your article, Mark. Choosing the right point of sale system is one of the most critical investments that you would make for your restaurant business. I have learned a lot from this article. Thanks! Thanks for sharing our Infographic on your website. It is indeed a very helpful “how to” article about choosing the right POS system.